The aim of this report is to get a better understanding of the Taliban movement and its role in the Afghan insurgency post-2001. The approach to this is three-fold: First, the report discusses the nature of the Afghan insurgency as described in existing literature. 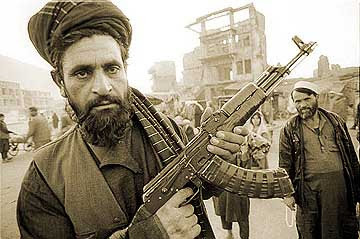 The second part looks at the organizational characteristics of the largest and most well-known insurgent group in Afghanistan: the Taliban movement (or Islamic Emirate of Afghanistan, IEA) led by Mullah Omar. The third and most extensive part of the report analyses the Taliban leadership’s ideology and worldview, based on the official statements of its organization and leaders. 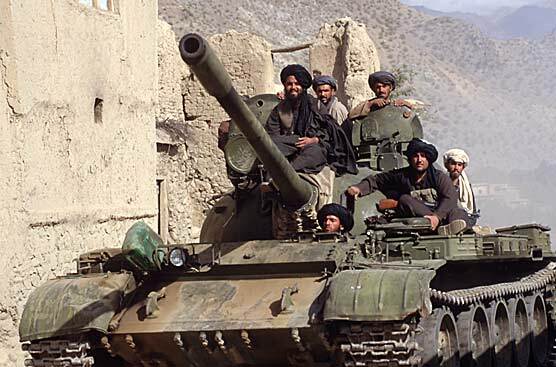 The report argues that the Taliban sees itself as a nationalist-religious movement, which fights mainly to resurrect the Taliban regime of the 1990s and to bring the various ethnic groups of Afghanistan under its rule. The Taliban’s agenda differs from that of its foreign allies (al-Qaida, Islamic Movement of Uzbekistan, Tehrik-e-Taliban Pakistan and others) because its primary concern is fighting for Islam within the context of Afghanistan’s borders, while the foreign groups aim to spread their fight to other countries as well. Still, the Taliban appears to have a closer relationship with its foreign allies than with the other major insurgent leader in Afghanistan, Gulbuddin Hekmatyar. In spite of their common goals (ending foreign occupation of Afghanistan and establishing an Islamic state), their relationship can be described as pragmatic at best. The main fault line in the Taliban’s relationship with its various allies appears to be centred on power and authority, rather than ideological disagreement. The Taliban spends considerable time and resources on attacking Afghan targets, and on justifying these attacks through their propaganda. The report argues that this is not merely a pragmatic choice due to the relative easiness of attacking Afghan targets. Rather, it is a deliberate strategy on part of the Taliban, because the Taliban leadership’s primary concern is to contest for power locally, not to kill foreigners in itself. This corresponds with existing theories of insurgencies, which describe the insurgency as a conflict primarily between the insurgent movement (the Taliban) and the local government (the Karzai regime). Outside actors such as NATO, the United States, Pakistan or even al-Qaida may play an important, but nevertheless a secondary, role compared to the role played by the Afghan regime. Lastly, the report discusses the Taliban leadership’s attitudes towards negotiations and power-sharing. For the time being, it looks like any attempt to negotiate with the Taliban leadership directly would serve to strengthen the insurgent movement, rather than weakening it. A more realistic approach is probably to try to weaken the Taliban’s coherence through negotiating with, and offering incentives to, low-level commanders and tribal leaders inside Afghanistan. The insurgent movement consists of a wide variety of actors, which may be seen as proof of its strength – but it could also constitute a weak-ness if properly and systematically exploited. This effort, however, requires extensive resources, both in terms of manpower and knowledge of the Afghan realities.